God’s Children: Music is the Answer, The Complete Recordings, is recommended listening for anyone interested in the roots of Chicano Rock. The group’s studio sessions never saw the light of day in the ’60s for some of the usual reasons — corporate bungling, market considerations, and the strains on the lives of people whose work intersects with politics and race matters. As the year winds down, I’m taking a minute to tell you about the release of their recordings from the archives and the story of my experience writing liner notes for the project. Had I known at the time when I wrote the piece in 2016 where the country was going, that there would be unmitigated hatred and horror waged on women and children at the border, I would’ve written that into the narrative, but how could I know the future? I just try to report on it. I also couldn’t predict that my work on the project would be rendered invisible and plagiarized, but I can call out those practices, along with the attempt to shame me for taking a stand. Originally posted here on December 8, I hope you’ll read the new and expanded version of the text, published in its entirety December 21 at Tourworthy. Some time in New York City, 1971, John Lennon and Yoko Ono came up with a Christmas song for the ages, its subject peace on earth during wartime, its melody extraordinarily similar to “Stewball,” a hoary folk song about a racehorse. Behind its veil of bluegrass, “Stewball” has deep roots plus class and race resonances, but only a tangential connection to the “Happy Xmas” song (if you’ve got the time to delve into these matters, there’s more where this came from, including clips and further linkage). In his final major interview, Lennon explained, “‘Happy Christmas’ Yoko and I wrote together. It says, ‘War is over if you want it.’ It was still that same message—the idea that we’re just as responsible as the man who pushes the button. As long as people imagine that, somebody’s doing it to them and they have no control, then they have no control.” Lennon and Ono had used the slogan “War Is Over! (If You Want It)” in their 1969 billboard campaign that sold peace to the people just as aggressively as consumer goods and war were promoted in the public sphere. Recorded in October at the Record Plant and assisted by producer Phil Spector, the Plastic Ono Band (who for this session included Jim Keltner, Nicky Hopkins, and Hugh McCracken) were joined by the children of the Harlem Community Choir (they sing, “War is over if you want it”). The single was released in the US on December 6th and held until the following November of 1972 for release in the UK. Spector’s influence is clearly a presence—you can hear his signature claustrophobic effects, similar to those on the Paris Sisters’ “I Love How You Love Me” and the Teddy Bears’ “To Know Him Is to Love Him.” But there is another ghost of rock and roll past in the room: The song borrows the feeling and the melody of “Pledging My Love” by Johnny Ace, a well- known Lennon favorite. As for the slogan War is Over, the Doors had previously used it in their 1968 anti-war song, “Unknown Solider” as had W.S. Merwin in his anti-Vietnam poem, “When the War Is Over,” published in 1967. “Happy Xmas” bears traces of all the aforementioned melodies and influences, in addition to their somber moods, along with the note-for-note cadence of “Stewball.” Opening with a whisper to their children from whom they were estranged at the time (“Happy Christmas Kyoko, Happy Christmas Julian”), the lyrics open with a rather pointed question (“And so this is Christmas, and what have you done?”) and wishes for a better world to follow. All is forgiven by the final uplift. As most readers know, Spector is currently serving time in a California state prison for using a firearm to murder Lana Clarkson. Legend has it Johnny Ace shot himself by accident, and the persecution of peacenik Lennon as well as his end have been well-documented. Ono continues to work for peace and against gun violence. The song “Happy Xmas (War Is Over)” itself has inspired many covers, none of them worth mentioning, and at least one (Billy Bob Thornton) worth calling out as being unmentionable. The only version worth a bleep I’ve ever heard is the original: It just might be the best rock’n’roll song to capture the spirit of Christmas. If, after reading this and enduring the year we’ve shared, you’re seeking something a bit cheerier, I’ve included a clip of “Run Rudolph Run” by original rock ‘n’ roller Chuck Berry—yet another Lennon-inspirer who we lost in March of this year. Consider it a seasonal gift: Merry Christmas Everybody, and God Bless Us, Everyone. Good morning, judge. What may be my fine? So sung Walter “Furry” Lewis, born on March 6, 1893 in Greenwood, Mississippi and raised in Memphis, Tennessee. He sung of injustice regularly, dispensed mostly by the uneven hand of Judge Harsh, the arbiter of “Good Morning, Judge”- fame and the unbelievable, actual surname of the guy who did the sentencing in Lewis’ part of town. Lewis’ story isn’t much told, though the chapter in Rythm Oil by Stanley Booth tells it as it’s known. Lewis worked on Beale Street during its high cotton days; he lost his leg jumping a freight train; spent the Depression, the war, the ‘50s, and part of the ‘60s working sanitation detail for the City of Memphis. It was in his retirement that he was rerecorded and began to perform again. Allen Ginsberg loved him, and so did the Rolling Stones; Joni Mitchell wrote a song about him though Lewis was not a fan. No stranger to film and television, he appeared on Johnny Carson’s show and acted in the Burt Reynolds movie, W.W. and the Dixie Dancekings. Died in ’81 at 88. Furry Lewis’ songs and old-time style will pick-you-up when you’re down. His “Judge Harsh” blues from Good Morning Judge, never fails to restore my cheer. People rely on the blues to chase away their own; when I play Furry Lewis, I don’t stay down too long. His delivery and his guitar style are unique (check the move he calls “spanking the baby,” or the he way he ends his jams abruptly and without ceremony). His recorded output is generally optimistic, and brings a smile, though his lines and the rhymes will break your heart. Tell me baby, what ever have I done? Covering in song the spectrum of life in all its colors—from white lightening and black gypsy to high yellow—he’ll turn your face red and your money green. Of course he also had a new way of spelling Memphis, Tennessee.“I may be weak, but I’m willing” he said. And for that, I am most grateful that he was born to sing and play the blues. This is a repost in memory of Allen Toussaint passing today. I was thinking about the Pointer Sisters today—The 1973 Pointer Sisters—and how their first album was one that rarely left my turntable that year. I was a child and mercifully I’ve held on to most of my records from then; curiously, this one’s in pretty good condition—too good I’d say, to have belonged to a kid—which leads me to believe it’s not my original. Back then, I was in the habit of marking all my LP records with a DYMO tape sticker that said DENISE. Just like that, all caps, white letters on orange or green, sometimes red or blue though rarely yellow. But because the DYMO tape or any evidence of having been stuck by DYMO tape is missing (I like typing DYMO), I’m thinking the copy I’m holding of the Pointer Sisters’ self titled album on the Blue Thumb label was at some point reacquisitioned, between 1973 and now. It’s uncharacteristic of me not to know exactly when I came by a record; that’s just how it is with people who collect records (or if you collect anything, you know what I’m talking about). Obtaining the object is part of its memory, which I find is selective and often obscured by all kinds of clouds and things. But records are the proverbial madeleine that take us back to the land that time (and sometimes I) forgot; songs may come and go, but it’s the record that helps me remember. Opening the gatefold sleeve today, I recalled a few things: How as a girl, I preferred the portraits on the outer sleeve to the stylized inner sleeve which I bitterly critiqued as “staged.” The outer sleeve was real, or so I thought, not knowing photos were taken at a thing called a photo shoot, set up by a photographer (H.B. Greene according to the sleeve notes) who has an assistant. Preferring the sepia-toned “authentic” 1940s styling on the outer sleeve to the glossy, deco design on the inside, I’d pegged the Pointers as down-to-earth, regular people, not Hollywood types; they were after all local, from Oakland. This is how it should be, them living in a Victorian-styled house like the one pictured on the cover, them dressed in ’40s casual, just as they would everyday. 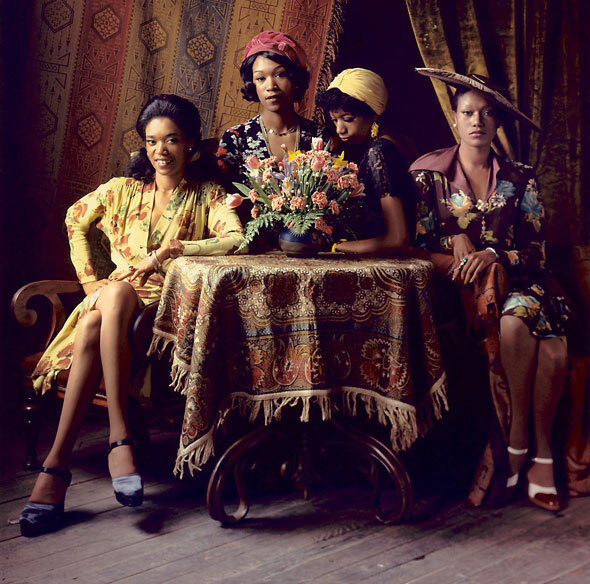 I never talked to a single other kid about The Pointer Sisters first album or what they wore or how they wore it, I just know I’d still give my right arm for a dress just like the one June is wearing in the photo, perfect as it is in every way. Anyone who remembers these things like I do will tell you that baby June, the youngest Pointer, had the style thing completely locked-up. Such a fashion icon she was, it’s a wonder I didn’t take to wearing a turban like she did, though I think I intuited it probably wouldn’t go over very well at school. Where did a child obtain a turban anyway? As for the music, what can I tell you that you don’t already know? Forty years later, we all know everything about everything and all I’ve got is my stale madeleine from the early ’70s and my Pointer Sisters reverie. The first time I heard the Willie Dixon song, “Wang Dang Doodle,” it was not performed by Etta James; rather, it was right there in my bedroom with the yellow floral wallpaper, at the end of side two of The Pointer Sisters. For sure, that was also the first time I ever saw the name A. Toussaint on a writing credit. Allen Toussaint is of course a legend of New Orleans piano style and the songwriting giant who wrote the album’s opener, “Yes We Can Can.” Why do I waste my breath? You knew that. Heck, even I knew as a small fry that Lee Dorsey was known for doing the song first; he’d been around the prior decade with “Ya Ya.” I knew that one by heart for reasons I can’t possibly relay right now without getting way off course. Put it this way: “It may sound funny but I don’t believe she’s coming home” rung some bells for me. I also liked the smooth vocals in “Jada,” one of the songs the Sisters themselves are partially credited with writing. But really, what I was most concerned with in 1973 wasn’t the music but in getting hold of some old plastic fruit, likely the cherries from the bowl at my great-grandmother’s house, so I could fashion a bunch into a corsage that I could wear on the lapel of my Eisenhower jacket from Lerner’s, to be worn with some wide-bell high-waist pants and platform sandals. Pointer Sisters style, for real. In closing, I was going to say I don’t remember what we did without You Tube but that would be a big fat lie. I remember perfectly well what we did and that was, we’d watch really bad video tapes that were hard to store and even harder to find on shelves, usually caked with dust. Once we got the tape in the VCR it had to be fast forwarded and rewound so many times, so maybe, just maybe you could find that segment of Soul Train you were looking for but started to regret you ever taped in the first place, since if you hadn’t taped it, you wouldn’t be messing around with a stupid remote control that never worked because the battery was like 10 years old to begin with. Recalling this foolishness, I am wasting my own time and now yours, when all I mean to say is, just try to imagine how I felt when I found this clip of “Yes We Can Can” today, because I can’t possibly describe the feeling of joy, such joy—not in 250 words or less I couldn’t—though I will add this: If there is one song to have had burned into your consciousness, to have been etched onto your soul, and sent with you on your way into the world, this one isn’t a bad one to have to be. Bless you, Mr. Allen Toussaint and Ms. Pointers, Anita, Ruth, Bonnie, and June. Thank you for the record—and for my memories. Great gosh all mighty. A portion of this post originally appeared here as an obituary in July, 2011. It has been updated and amended as a remembrance. Rare groove chasers know well the name Eugene McDaniels; his 1971 album for Atlantic, Headless Heroes of the Apocalypse is a standard-bearer for psychedelic soul/funk/jazz rhythms and is borrowed frequently for its samples (most famously by A Tribe Called Quest and the Beastie Boys). The album is a fierce statement of Black pride, anger, and frustration, equally powered by a super-soul fever, a yearning for world peace, and ultimately love. A showcase for McDaniels’s breadth as a composer, from folky singer-songwriter styles (“Susan Jane”) to proto-rap (“Supermarket Blues”), his strongest words are demonstrations of righteous indignation (“The Lord is Black, his mood is in the rain…he’s coming to make corrections”). His reward for creating such a unique piece of work was to have it recalled from the shelves and suppressed by Nixon’s White House; it remains a lost classic and is a story waiting to be told. McDaniels is also the composer of “Compared to What,” the jazz-soul wartime protest made famous by Les McCann and Eddie Harris, a worldwide hit in 1969. Born in Kansas City in 1935, McDaniels studied at the Omaha Conservatory of Music, and graduated from Omaha University. After forming a band in the 1950s, and singing with the McCann trio, he signed with Liberty Records and hit in 1961 with “A Hundred Pounds of Clay,” followed by five more Top 40 hits, including “Tower of Strength.” With six hit records to his credit, McDaniels turned his focus to writing (he worked closely with Roberta Flack and ultimately wrote her hit “Feel Like Making Love,” among others). Following the success of “Compared to What,” by the time he attempted to relaunch his solo career as a singing and songwriting artist with his 1970 album The Outlaw, McDaniels had developed an intensely personal and pointed new style and direction. Fearless with his melodies and in his verses, the instrumentation on his early ’70s companion albums was a wild combination of folk-funk: electric and acoustic bass brushed against guitar, drums, and piano. The arrangements combined with the lyrics to strike inner chords of deep recognition, touching places in the heart only music can reach. McDaniels injects each song with theatrical and emotional soul power, delivering the verses with a fascist-fighting folker’s impeccable style of oration. Incensed and confused by injustice, his notes echo and stretch, like the sound of someone losing his mind. His elegy for the genocide of America’s indigenous population, “The Parasite (For Buffy),” dedicated to Native American and folksinger Buffy Sainte-Marie, is a shining example of his dramaturgical song style that places his subjects in a social, political. and psychological context. But McDaniels’s revolution of the mind is a peaceful one; though he paints pictures of hell and all hell breaking loose, his narrator does not advocate use of violence as a solution. Rather, violence is portrayed as the problem. In Keep on Pushing: Black Power Music From Blues to Hip Hop, I touched on McDaniels’s status as one of Nixon’s Enemies. It was in fact his story that in part inspired me to probe 50 years of freedom singing, and how resistance in song is received (or not) by a mass audience. I remain deeply curious on the subject, but when my faith in music and in people is lagging, I pull out Headless Heroes of the Apocalypse and find it restores and inspires me. 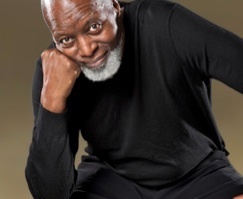 Whatever darkness he’s describing, the McDaniels point of view remains poised and unique; his higher consciousness and keep-on-pushing spirit bleeds between the notes of each slyly rendered gospel-laced track. Years later, the Beastie Boys would turn to McDaniels, nicknamed the Left Rev McD, for a sample, as would the Afro-centric, conscious hip-hoppers, A Tribe Called Quest who used a piece of “Jagger The Dagger” throughout People’s Instinctive Travels and the Paths of Rhythm. John Legend and the Roots brought back a version of “Compared to What,” which was most recently updated by the trumpet player and bandleader Terence Blanchard (with E-Collective featuring PJ Morton). Eugene McDaniels made it real—no comparison. Listen below to “Supermarket Blues,” his musical statement from 1971 on racial profiling, police violence, and white supremacy: It sounds as fresh as the day it was recorded. 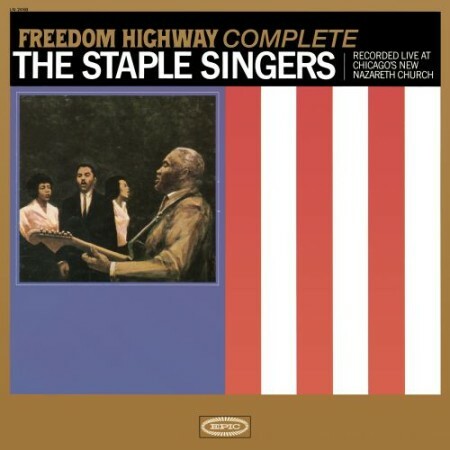 In April of 1965, just weeks after the historic marches for voting rights across Alabama, the Staple Singers convened at a South Side Chicago church for a service dedicated to the marchers. The resulting live album, Freedom Highway, has since become a recorded classic, merging soul-solid messages and spirit-rising music. Long out of print, it was reissued in an expanded edition this week to coincide with the 50th anniversary of the Selma marches, though its gospel-sung dreams of justice for all are yet to be won. Read my full review at Blurt online. In what is perhaps the best-known story of a blues woman as legend, Big Bill Broonzy tells of the “cutting” contest he lost to Memphis Minnie following her 20-minute performance of “Me and My Chauffeur Blues.” So carried away was she with the jam, Minnie was carted offstage by the judges who were said to be bluesmen Tampa Red, Muddy Waters and most unlikely, Mississippi John Hurt. Meanwhile, as Minnie was catching her breath, Big Bill was making off with the two bottles of hooch earmarked to be taken home by the grand prize winner. “…She can make a guitar speak words, she can make a guitar cry, moan, talk, and whistle the blues,” Broonzy wrote in his memoir. Man enough to admit he’d been whupped by a gal, the story behind their supposed tussle in 1930s Chicago has over time been revealed to be a conflation of repeated guitar stand-offs between Broonzy, other bluesmen, and Minnie who was known to routinely trounce all-comers throughout the South and Midwest with the antics on her ax. While Broonzy would go on to be remembered as the musician who brought the blues to England and influenced an entire generation of rock’n’roll guitarists, Minnie’s legacy is less tangible and entrenched. For reasons not entirely clear and despite repeat testimonials from Bonnie Raitt and Lucinda Williams, Minnie’s only had a few, cheapo boxed sets and a recent tribute compiled; there have been no lovely vinyl reissues, collector’s editions, or special treatments given to her recorded legacy. As for what we know of her history, most all of it comes down to Paul and Beth Garon’s 1992 volume, Woman With Guitar: Memphis Minnie’s Blues, available once again in an updated and revised edition with a forward by Jim O’Neal (City Lights, 2014). 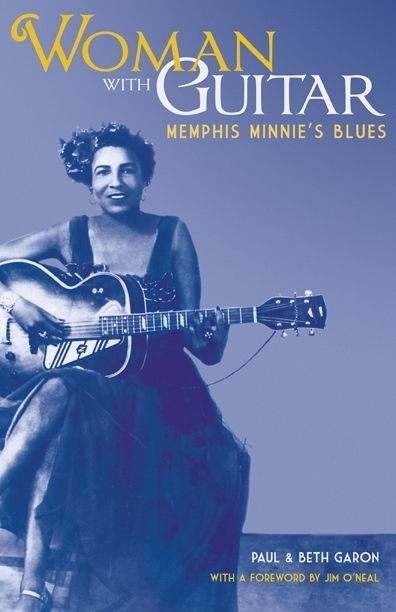 Twenty-two years after its initial publication, the most profound details of Minnie’s story still reveal a hard travelin’ blues woman—singing and performing her ribald, daring, and well-honed songs in the early part of the 20th Century—as a player who has yet to be honored and enshrined in equal measure to her accomplishments. So sung Walter “Furry” Lewis, born on March 6, 1893 in Greenwood, Mississippi and raised in Memphis, Tennessee. He sung of injustice regularly, dispensed mostly by the uneven hand of Judge Harsh, the arbiter of “Good Morning, Judge”- fame and God-given name of the guy who did the sentencing in Lewis’ part of town. Lewis’ story isn’t much told, though the chapter in Rythm Oil by Stanley Booth tells it as it’s known. Lewis worked on Beale Street during its high cotton days; he lost his leg jumping a freight train; spent the depression, the war, the ‘50s, and part of the ‘60s working sanitation detail for the City of Memphis. It was in his retirement that he was rerecorded and began to perform again. Allen Ginsberg loved him, and so did the Rolling Stones; Joni Mitchell wrote a song about him and Lewis hated it (it crossed some lines). He appeared on Johnny Carson’s show and acted in the Burt Reynolds movie, W.W. and the Dixie Dancekings. Died in ’81 at 88. His “Judge Harsh” blues made a real impression on me in 2004 (The Year of Our Injustice) which was also around the time Fat Possum released Good Morning Judge (there are plenty of other Lewis titles available but I like that one). Furry Lewis’ songs and old-time style will pick-you-up when you’re down. Listen for the way he ends his jams abruptly and without ceremony. His delivery and his guitar style are unique (check the move he calls “spanking the baby”). His outlook was generally optimistic, though his lines and the rhymes will break your heart. Tell me baby, what eee-ver have I done? “I may be weak, but I’m willing” he said. Personally, I rely on his blues to chase away my own. When I play Furry Lewis, I find I just can’t stay down too long. Covering the spectrum of life in his songs, from white lightening and black gypsy to high yellow, he’ll turn your face red and your money green. Of course he also had a new way of spelling Memphis, Tennessee. And it’s for that, I thank him most of all. Born Darlene Wright in Hawthorne, California, and christened Love by Phil Spector, Darlene was a member of the vocal group the Blossoms and an A-list singer on the talented but wily producer’s sessions. Knowing in his bones the Gene Pitney song “He’s a Rebel” would be a hit, instead of crediting the Blossoms, Spector rushed it out as the Crystals who were signed to his Philles label. Love was also the secret weapon on the Bob B. Soxx and the Bluejeans singles, “Why Do Lovers Break Each Others Hearts”, and “Not Too Young to Get Married.” Her unmistakable tone with no-nonsense, girl group attitude has backed-up Elvis (she and the Blossoms were part of the ’68 comeback special), Sonny and Cher, Papa John Phillips, Little Steven Van Zandt and his boss, Bruce Springsteen. Career Highs: We’d have to ask her what she thought of singing on Cheech and Chong’s “Basketball Jones” or if her turns as Danny Glover’s wife in the Lethal Weapon movies were thrills to her, but we loved them. Maybe her heart sang when she headlined her own one-woman show, Portrait of a Singer, or when she went to Broadway as Motormouth Mabel in the musical adaptation of the John Waters story, Hairspray. Career Low: Going uncredited on all the Spector productions (she eventually won a lawsuit that helped her collect on some unpaid royalties). Essential Listening: “Christmas (Baby Please Come Home)” is the song for which she’s probably best known outside of “He’s A Rebel”; you can also hear her every year as background vocalist on the seasonal hit, “The Monster Mash.” “He’s Sure the Boy I Love” and “(Today I Met) The Boy I’m Gonna Marry” are Love’s other great shots in the spotlight. Her hits are all compiled on The Sound of Love: The Very Best of Darlene Love and Da Do Ron Ron: The Very Best of the Crystals, issued by Sony/Legacy Recordings. And if you like that you’ll like: “Lord, If You’re A Woman” (“give a sister a hand”), tells a story about someone who’s been had and if you have been, you’ll say amen. What She’s Doing Now: Darlene Love took her rightful place in the Rock ‘n’ Roll Hall of Fame when she was inducted on March 14, 2011. 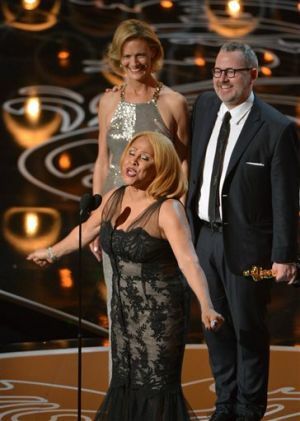 On March 2, 2014, she accompanied director Morgan Neville onstage at the Academy Awards to accept the Oscar for Twenty Feet From Stardom, a documentary about the lives of background vocalists. As part of her acceptance speech, Love sang a portion of the Gospel classic, “His Eye on the Sparrow,” in acknowledgement of how music and faith carried her through the hard times. This column has been updated from when it originally appeared on February 22, 2011, under my byline, in Crawdaddy! Bob Dylan calls him “the best guitar player I ever heard.” Carlos Santana remembers his distinctive style: “With an acoustic guitar, a Telecaster, a Stratocaster or Les Paul, you heard three notes, or you heard one note and you knew it was Michael.” B.B. King credits him with his own crossover success with young, white audiences. “I think they felt if Michael Bloomfield said if he listened to B.B. King, we’ll listen to him too,” said King, still on the touring circuit at age 88. 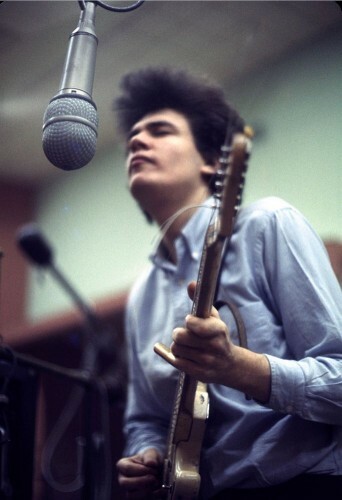 So how is it in the age of excess information about guitar styles and rock ’n’ roll, Mike Bloomfield isn’t cited more often as a major contributor to the music’s evolution? (Read entire article by Denise Sullivan at Blurt online).